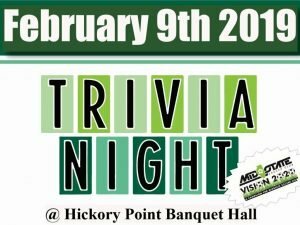 Join MidState Soccer for Trivia Night! Put your useless knowledge to good use at MidState Soccer Club’s Trivia Night! Teams of 8 can purchase tickets for $50 per person that include first and last place prizes, 2 drink tickets, appetizers and dessert. Also, play our one of a kind WONDERWALL for a chance to score additional prizes! Aric Lee will host, therefore bring your A-game! This event will raise money for our Midstate Vision 2020 campaign to improve our growing soccer complex! All profits go toward major safety improvements.